The first line of treatment will typically be the use of a splint or oral appliance. A TMJ splint or oral appliance is worn to reduce the stress on the jaw near Arlington Heights, IL. This allows the muscles to function properly and may reposition the lower jaw to fall properly into the TMJ socket. TMJ appliances are a conservative and reversible treatment option that may provide pain relief. There are many different types of splints and appliances that your dentist can fabricate for you. Dr. Ivan will complete a clinical examination, use radiographs and your symptoms to help you decide the best treatment for you. 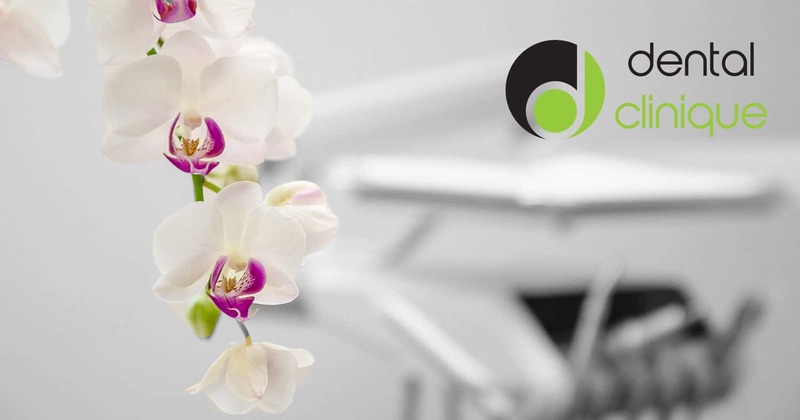 Call Dental Clinique today to schedule a consultation and ask us about our TMD treatment options. When you need to yawn, place your fist under your chin and apply upward pressure. This can help keep your mouth from opening too wide. A nightguard is the most common treatment option for the symptoms of TMD. Clenching or grinding your teeth at night, can damage the enamel of your teeth beyond repair. A night guard in Arlington Heights, IL allows you to sleep comfortably, while protecting your teeth from erosive habits. A night guard is a plastic appliance that is professionally made by your dentist in Arlington Heights, IL. The appliance is worn at night and can either be worn on the top or bottom arch. It is designed to protect the teeth from the pressure of clenching and grinding, by providing a protective cushion between the upper and lower teeth. It is perfect for patients with bruxism (clenching and grinding) and chronic jaw pain in Arlington Heights, IL. This mouth guard can help relax your jaw and allow you to rest easy. A night guard is a simple, non-invasive, affordable treatment option for protecting your teeth and jaws from the damaging effects of bruxism. The NTI night guard is a small appliance that is worn at night to prevent bruxing, clenching and muscle pain that is associated with muscle dysfunction. Unlike a traditional night guard, the NTI is very small and only covers the front teeth. The NTI night guard in Arlington Heights, IL protects the teeth, muscles and joints, by reducing the intensity of jaw clenching while you sleep! The NTI is more comfortable, less bulky and won’t trigger a gag reflex. This means that patients tend to love it! The NTI has been proven to be an excellent alternative to full coverage night guards. 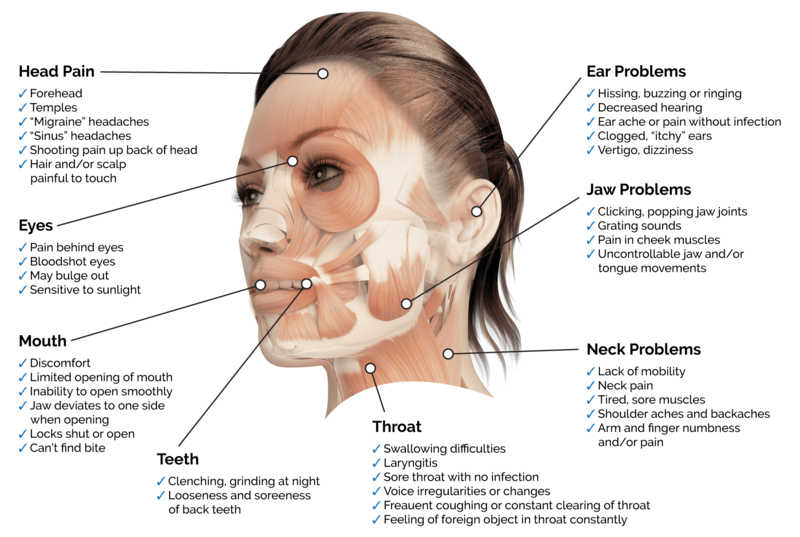 BOTOX® injections in Arlington Heights, IL have proven to be very effective in relieving pain with TMD, reducing bruxism and reducing or even eliminating tension type migraines. In February 2011, the FDA approved the use of botulinum toxin (BOTOX®) for chronic migraine and facial pain as a primary treatment. This highly purified protein has proven to be very effective in pain relief from muscle sources near Arlington Heights, IL. Some studies suggest that approximately 85% of TMJ and other facial pain disorders are muscle related. BOTOX® affects muscles, by decreasing the intensity of muscle contractions. It allows the muscles to still function, but relaxes them just enough to prevent painful contractions.